Which is the Newest of the 10 Dental Specialties? It’s rare for dentists to become general practitioners, and then decide to stop advancing their education. Instead, most dentists choose to expand their knowledge by pursuing one or more dental specialties to set themselves apart and enhance the ways they can help patients. For the last 20 years, there have been nine officially recognized dental specialties, including periodontics, endodontics, and pediatric dentistry. These are carefully considered by a panel of nine general dentists and must satisfy six criteria. Discover which new dental specialty passed this rigorous process and why it’s so deserving. 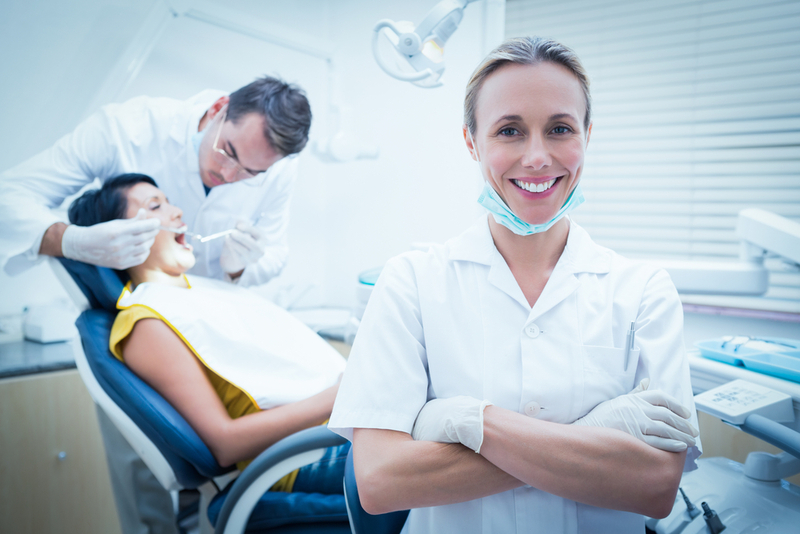 Sedation dentistry is not only an extremely popular dental service, but it affords many advantages to both doctors and patients. While the most obvious benefit is that it calms down patients with dental phobia so they can receive the treatment they need, that’s only the beginning. From allowing doctors to complete many treatments in a single visit to ensuring a patient stays still during difficult treatments, sedation is extremely valuable in dentistry. While it certainly seems that anesthesiology is worthy of being an officially recognized dental specialty, there are numerous services that have not yet been chosen. That begs the question of what is so vital about sedation that it deserves to be counted as an official dental specialty? Some dental patients get extremely anxious before their dental appointments. Dentists who choose to provide sedation options at their practice, like Dr. Chiarina Iregui in Gig Harbor, WA, have a wide variety of ways to help stressed-out patients remain calm during their procedure. This extra service is a win/win for both the patient and dentist for a wide variety of reasons. What Might Be the Next Specialty to Be Recognized? The addition of sedation dentistry after 20 years begs the question of which other dental service will be recognized as an official specialty next? With about 10% of dentists officially qualified to place dental implants, both the service and demand for the procedure are growing. Doctors like Dan McAllister in Kalispell, MT regularly provide the procedure to patients who suffer from missing teeth. As the only permanent restoration that prevents the jawbone from shrinking, dental implants require extensive training before dentists can lead the procedure. As dentists continue to create different variations of dental implants and discover new ways to use them, it may increase the chances of implantology becoming a dental specialty in the future. One such innovator is Dr. Keith Cooper who specializes in TeethXpress, a restoration that can be completed in a fraction of the time of traditional implants. Such innovations expand the field of implantology and boost its notoriety throughout the dental community. If the only problem dentists encountered was cavities, there wouldn’t be a need for a wide range of dental specialties. Similar to other aspects of our health, there are many factors involved with our oral health, and therefore, a variety of things can go wrong. Fortunately, there are dentists who specialize in helping with the exact problems you may be experiencing– and now, as of March 11, specialists can take the stress out of your dental appointment as well.